(Amsterdam /Cape Town/Chicago – February 17, 2012) Three organizations from three different continents have taken the next step in their commitment and dedication to improve the safety and quality of health care provided in resource-restricted countries. 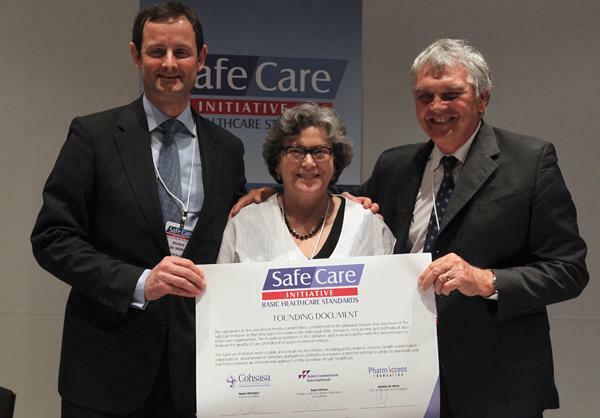 The South African-based Council for Health Service Accreditation of Southern Africa (COHSASA), the PharmAccess Foundation of the Netherlands, and U.S.-based Joint Commission International (JCI) have signed an agreement to establish the SafeCare Foundation (www.safe-care.org). 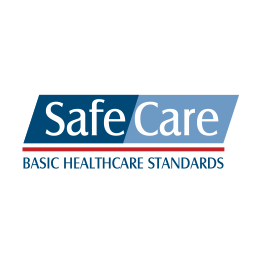 SafeCare has grown out of a global initiative, launched in March 2011 in Cape Town, South Africa, to introduce a comprehensive quality improvement program using internationally recognized standards to improve health care delivery. The SafeCare Foundation is designed for health care providers in resource-poor settings to assist them in step-wise quality improvement and the delivery of safer care to their patients. As a new Foundation with its international board and its secretariat based in Amsterdam, SafeCare will be able to expand its knowledge and capacities even further and build on the concrete experience and skills of its founding organizations. To date, the SafeCare programme has been successfully initiated in more than 107 clinics in six countries – Kenya, Nigeria, Tanzania, Ghana, Lesotho and South Africa. The facilities participating in SafeCare have committed to improve the quality of their services as part of their participation in various insurance and medical credit programs. The first 10 of these facilities recently obtained “Certificates of Improvement,” which were awarded based on reaching pre-defined levels of standard compliance. Placed in the African context, where many facilities face resource challenges and a high disease burden, this establishes the principle of graded improvement which many African facilities will follow in the years to come. The analysis of SafeCare certification data will allow stakeholders (e.g. governments, investors, insurers and donors) in developing countries to support feasible, cost-effective and structured quality improvement rollouts in facilities. 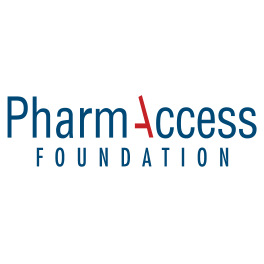 The Foundation will build and maintain a database of organizations using its standards and keep track of their progress as well as the progress of the facilities that are represented. In summary, the SafeCare Foundation will offer large-scale quality improvement programs through automation of data entry, verification analysis and computerized web-based reporting. The impact of interventions by the SafeCare Foundation will be monitored through data analysis, and operational research and findings will be published in peer-reviewed journals. In certain situations, the SafeCare Foundation will collaborate with other organizations to apply for the funding of quality improvement trajectories in resource-poor settings. To achieve these objectives and to stimulate health care quality and patient safety, the SafeCare Foundation will arrange regular conferences to promote quality standards and health care quality issues. SafeCare Foundation will also publish information on the tools, goals and results of the program and will make information and standards publicly available through its website. 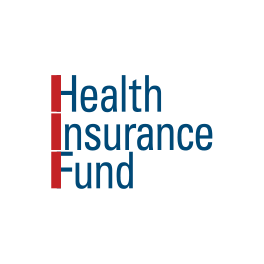 In addition to the above, under the umbrella of the SafeCare Foundation, a SafeCare Knowledge Institute will be established. As an operational research entity, the Knowledge Institute will provide health intelligence data on health care quality improvement in Africa, provide benchmarks, perform gaps analyses, and study the associations between quality improvement certification and medical output and outcome. These vital analyses can be used to inform donors and governments about the status of health care in specific regions or countries. The SafeCare methodology combines the respective knowledge, expertise, skills, tools and experience of all three organizations – COHSASA, JCI and PharmAccess – to issue a graded “Certificate of Improvement” to different categories of health care facilities ranging from nurse-driven health clinics to district hospitals. Certificates range from level 1 to 5, which allows for demonstrating incremental achievement in compliance with the SafeCare Foundation Standards. Health care facilities are rewarded with a “Certificate of Improvement” every time they reach the next pre-defined SafeCare step. If executed completely (SafeCare Level 5), this qualifies a facility for formal accreditation trajectories for example through COHSASA or JCI. The uniqueness is that the SafeCare route is all about relative improvement and does not demotivate African facilities with unreachable international absolute quality norms. Instead, SafeCare offers a step-wise approach, confronting facilities with incremental challenges with respect to quality and patient safety and eventually rewarding and motivating these facilities with recognition through its certification system. This step-wise improvement process can thus be used by governments, donors and companies to implement performance-based financing incentives. 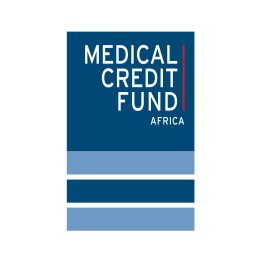 In addition, SafeCare can be offered in combination with various capacity building interventions, like access to affordable loans through the Medical Credit Fund (www.medicalcreditfund.org) or inclusion in innovative insurance programs like those supported by the Health Insurance Fund (www.hifund.org). COHSASA – Based in Cape Town, South Africa, COHSASA (www.cohsasa.co.za/) is the only accreditation body for healthcare in Africa that is internationally accredited by the International Society for Quality in Health Care (ISQua) as a competent healthcare evaluation body and its standards are recognised as meeting the principles set out by ISQua. COHSASA has been working in the field of quality improvement and accreditation for over 17 years. During this time, COHSASA has worked in a range of over 580 different types of facilities – from tertiary hospitals to basic clinics – in the public and private sectors in South Africa, the SADC (Southern African Development Community) region and other parts of Africa. Countries in which programs are running are the RSA, Swaziland, Lesotho, Namibia, Botswana, Zambia, Rwanda and Nigeria. Joint Commission International – (www.jointcommissioninternational.org) Joint Commission International (JCI) was established in 1997, and is the international arm of The Joint Commission. Through international accreditation, consultation, publications and education programs, JCI extends The Joint Commission’s mission worldwide by helping to improve the quality of patient care. JCI assists international health care organizations, public health agencies, health ministries and others in more than 90 countries.